Life on the Block: Sunday at Retreat and Joining " Bee Social"
After our Festive dinner Saturday night we had another special celebration on Sunday. One of our lovely Patch ladies had a "0" birthday sew we helped her by singing 'Happy Birthday" and sharing a beautiful birthday cake. and later after packing up my machine I sat and cut some of the Aussie Animals from Toni's "Down Under Quilt" before it was time to pack and go home. Love all Toni 's designs and I'm getting these ready to work on at our Annual Retreat at Toodyay at the end of August. 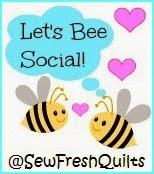 I read about joining Lorna for "Bee Social" and decided it would bee fun to met some new blogging friends. Must away to make a Milo and do a little stitching on my "Angel." before bed. Labels: Sunday at Retreat and " Bee Social"
It's always fun to celebrate birthdays with your friends. Those woven blocks look great and your little animals are so sweet. Wonderful birthday cake!! Well if you did waddle it says you have had a wonderful time to me!! 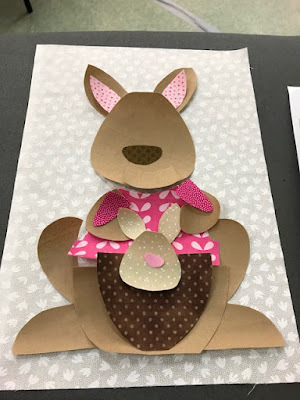 Love the Aussie animals coming along there and the chain blocks are great too. Aussie Animals Tassie Devil is cool. Good work. Sounds like a wonderful retreat! In addition to our meals, we always have a snack table, and I eat wayyyyyyyyyyyyy too much! You always have such fun blocks to work on. I've been quilting a masterpiece, and will have the binding finished by tomorrow night, hopefully. Be on the lookout! It looks like it was a productive, as well as fun, retreat. Your retreat sounded wonderful and very productive. Great to see that your Retreat went well Maria... and productive for you too! 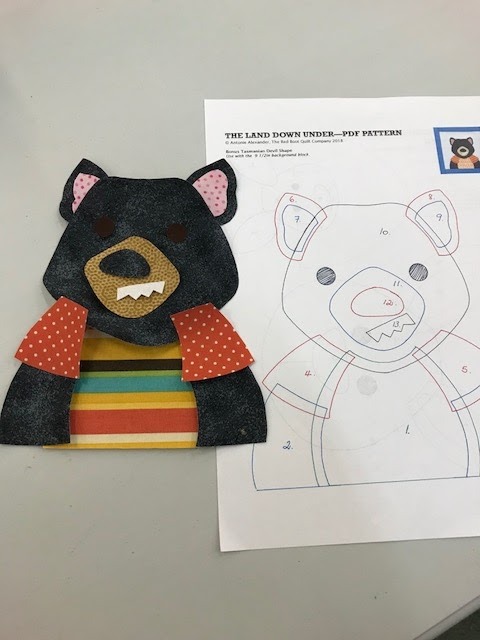 I did see the new pattern from Cluck Cluck Sew, looks like one to be careful when sewing, lest a layout error is made! Great start on it.